Bilkom is the Turkey distributor for global information technology brands. For 30 years, as part of its value added service strategy, Bilkom has provided distribution services in Turkey to global IT brands that shape the digital and mobile transformation across the world. In line with its mission as Turkey's "Digital Life Coach," the Company raises the bar of success each day with forward looking, dynamic and creative practices that make a difference in the sector. At over 1,500 sales points spread across 81 cities in Turkey, Bilkom provides sales and distribution services to leading companies such as Apple and Asus. In 2015, the Company's sales increased 45% in TL terms to above TL 1.1 billion. Year after year, Bilkom works to bolster its sector leading position, in terms of company size and growth rate, workforce competitiveness, employee and customer satisfaction, operational productivity and return on equity. Bilkom, which was the 73rd largest Turkish IT company ranked by sales according to the IT 500 survey in 2009, recorded average annual growth of 68% between 2009 and 2014 in TL terms to rise to 19th place according to the 2014 edition of the same survey. 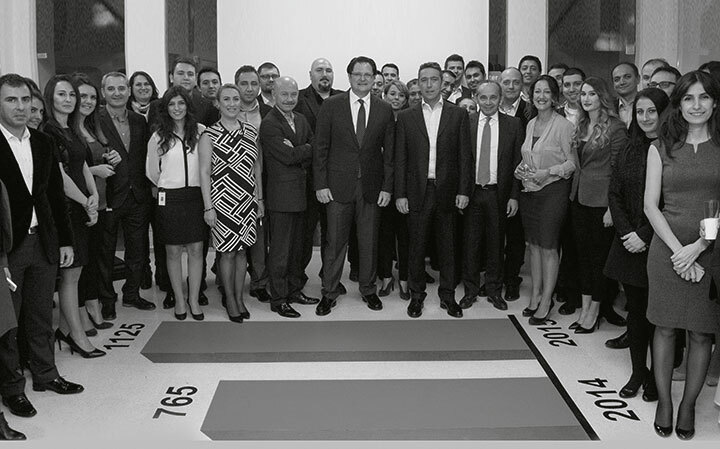 Furthermore, on the Capital 500 list of Turkey's top companies across all sectors, Bilkom ranked 10th in sales growth, climbing 214 places in a single year to become the 260th largest company. As part of its social responsibility efforts, the Company established the Bilkom Memorial Forest of 20 thousand tree saplings in Urla, İzmir, on the 30th anniversary of its founding. Bilkom's best and award winning corporate social responsibility project "History Comes Alive 3D" created a mobile 3D representation of the ancient city of Pergamon. Bilkom joined forces with Kadir Has University to establish the ''UNESCO Chair in the Management and Promotion of World Heritage Sites: New Media and Community Involvement'' to protect and promote world heritage sites in Turkey. As the technology partner of the Chair, the Company works on projects that will promote the cultural heritage of Turkey and the Middle East via modern technologies, especially among the younger generations. Bilkom plans to continue pursuing profitable and sustainable growth above the sector average, with a focus on leading brands, forward-looking mobile technologies and other information and communication technology solutions.